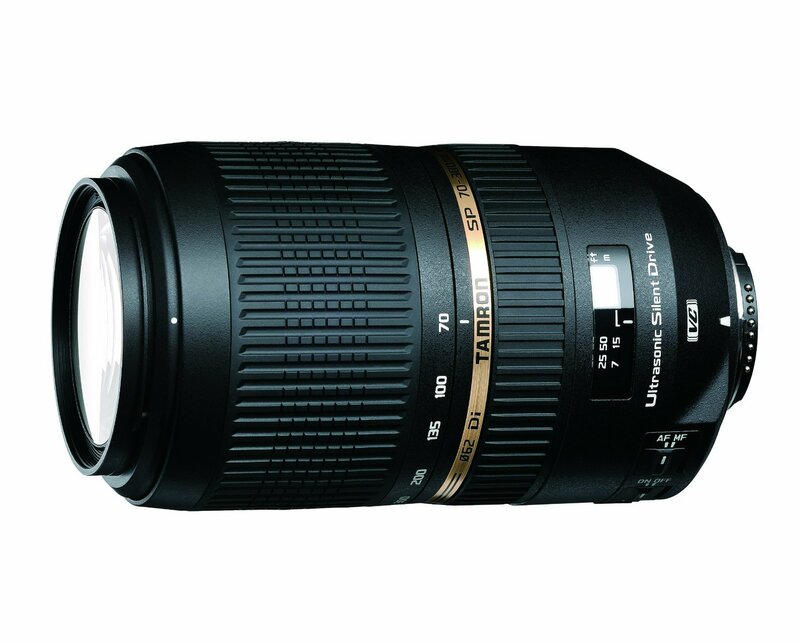 The Tamron 70-300mm f/4-5.6 Di VC USD is designed for a wild-life, action and sports photography enthusiast. At 300mm the lens offers a fast f/5.6 aperture. Although that is still quick the lens does lose out to some of Canon’s and Nikon’s constant f/4 prime tele lenses. This Di lens is compatible with full frame; crop sensor based DSLRs as well as film cameras. Mounted on a APS-C DSLR the lens offers a field of view equivalent to a 105-450mm lens mounted on a full frame DSLR. as such it gives crop sensor users interested in wildlife and sports photography an amazing reach. When the lens launched it was the first ever Tamron to feature their fast USD (Ultrasonic silent drive) mechanism. This makes the lens near silent when auto-focusing. It also has full time manual focusing which a lot of professional photographers prefer. Additionally the lens also encompasses Tamron’s VC (Vibration compensation) feature that stabilizes the lens from any shake when shooting hand-held. For a tele-lens of such long reach it is imperative that the lens has optical stabilization. The lens has a total of 17 elements including a XLD (Extra low dispersion) glass element arranged in 12 groups. Tamron claims that the properties of the XLD glass elements are equivalent to that of the fluorite elements that are mostly used by Canon in its lens technology. The diaphragm of the lens constituted by 9 rounded blades. The lens weighs 765 grams and uses a filter of 62mm size.